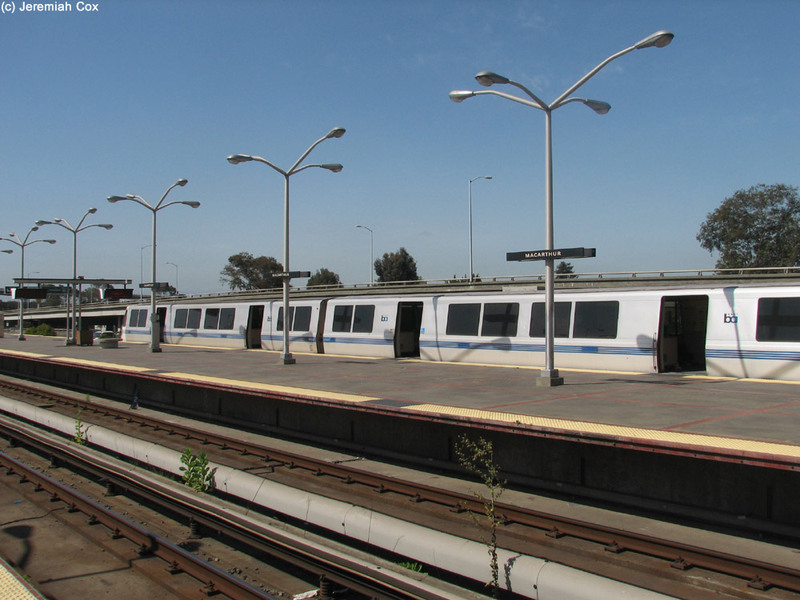 MacArthur is a BART station with four tracks just south of the split of Richmond-bound and Pittsburg/Bay Point-bound trains north of the station. 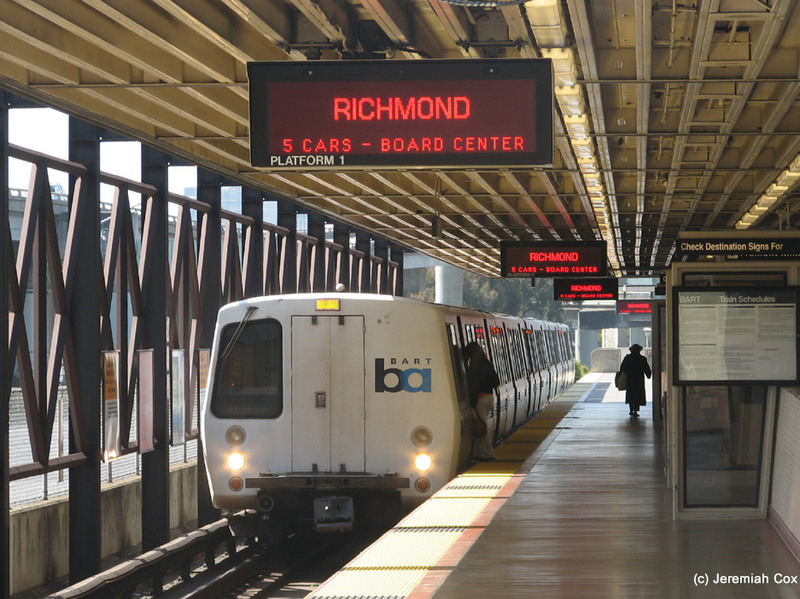 The Richmond Line uses a flying junction to leave the Concord Line (that soon switches and becomes two tracks) so trains could enter the station on either track. 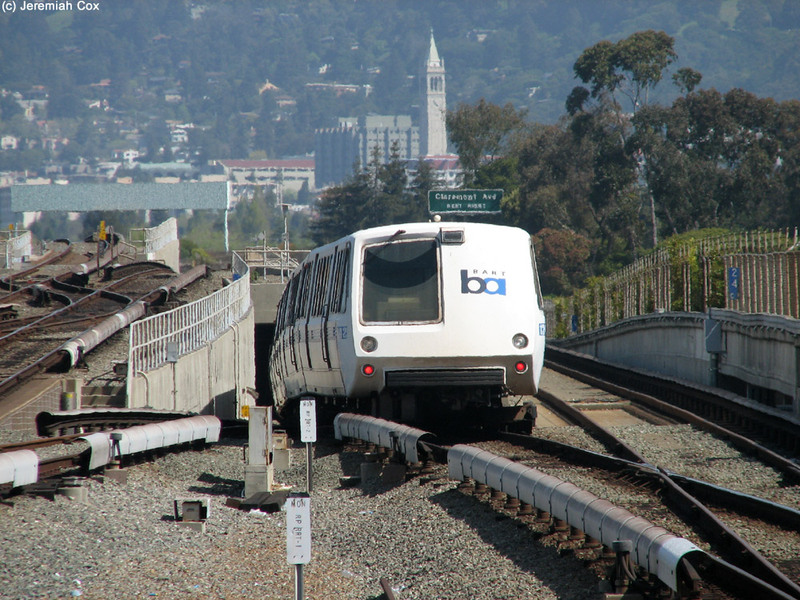 In regular operations this is not the case, Richmond-Millbrae, and Richmond-Fremont Line Trains stop on the outside tracks and Pittsburg/Bay Point-SFO Airport Trains stop on the inside tracks. 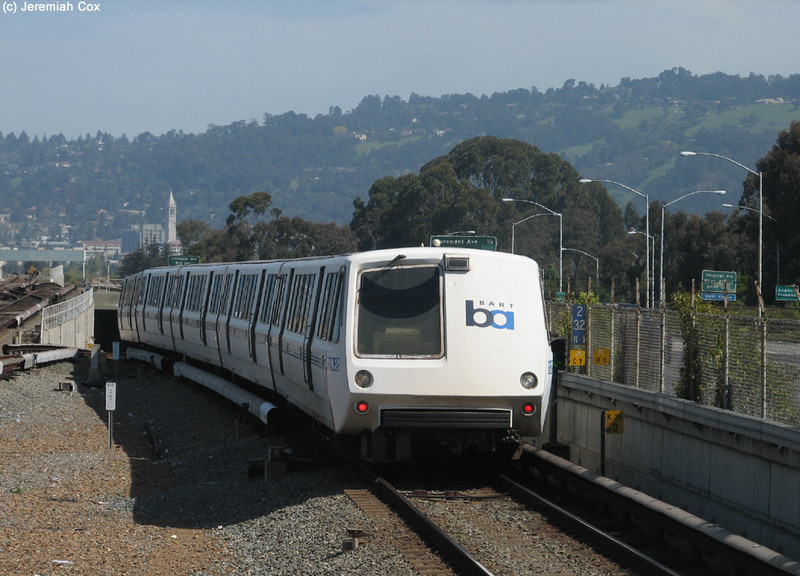 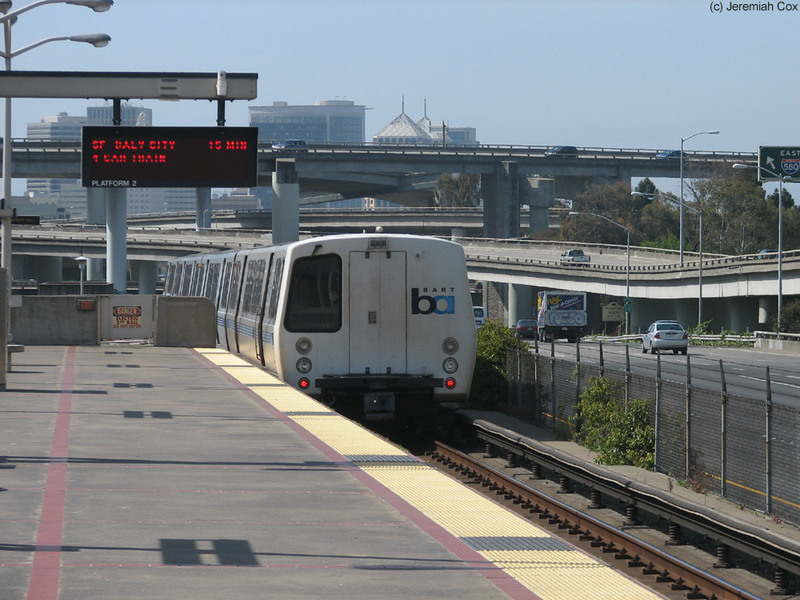 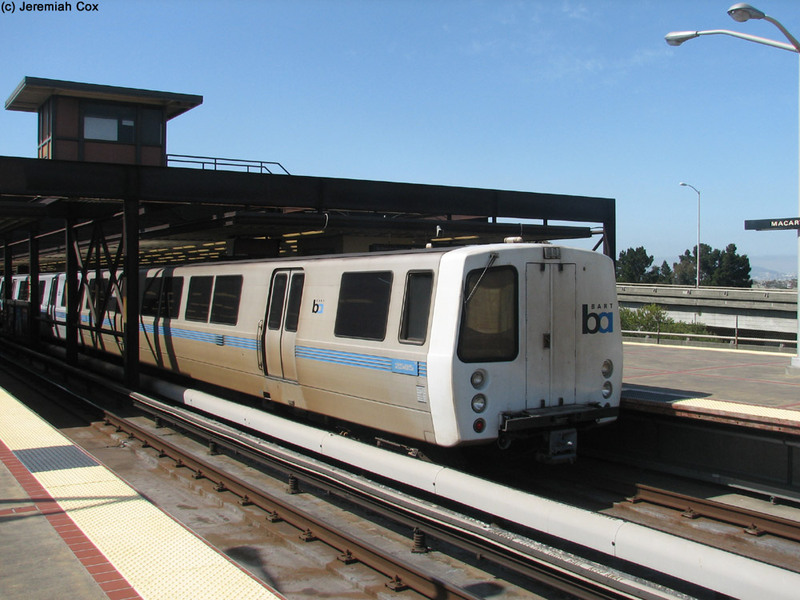 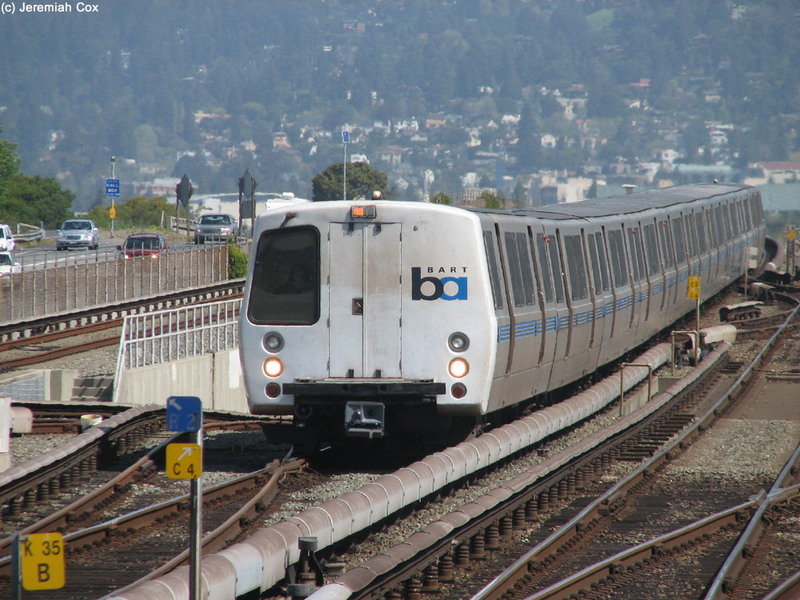 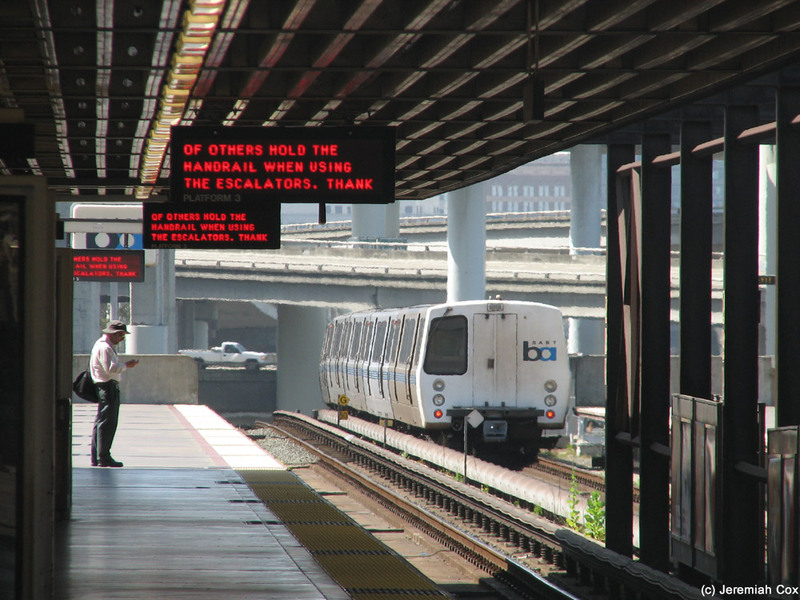 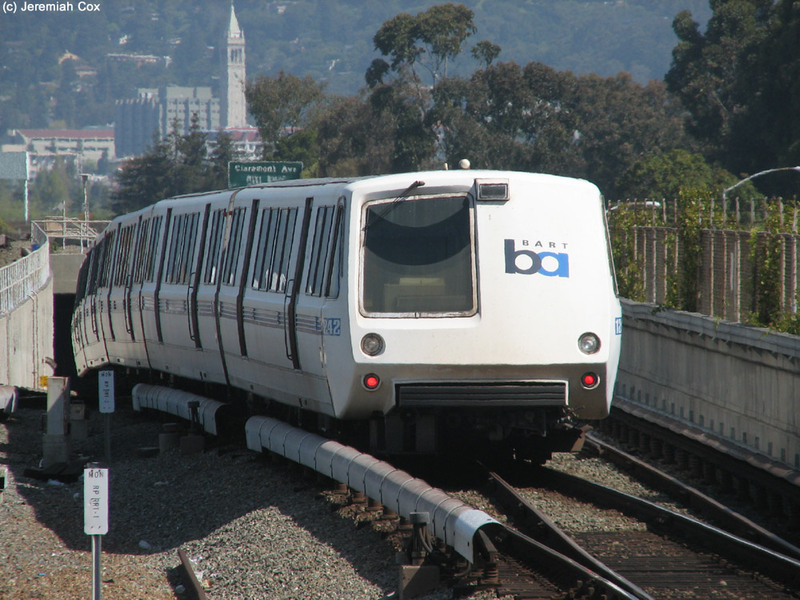 During normal operations there is a scheduled cross-platform transfer between Southbound Pittsburg/Bay Point-SFO Airport Line Trains and Richmond-Fremont trains. 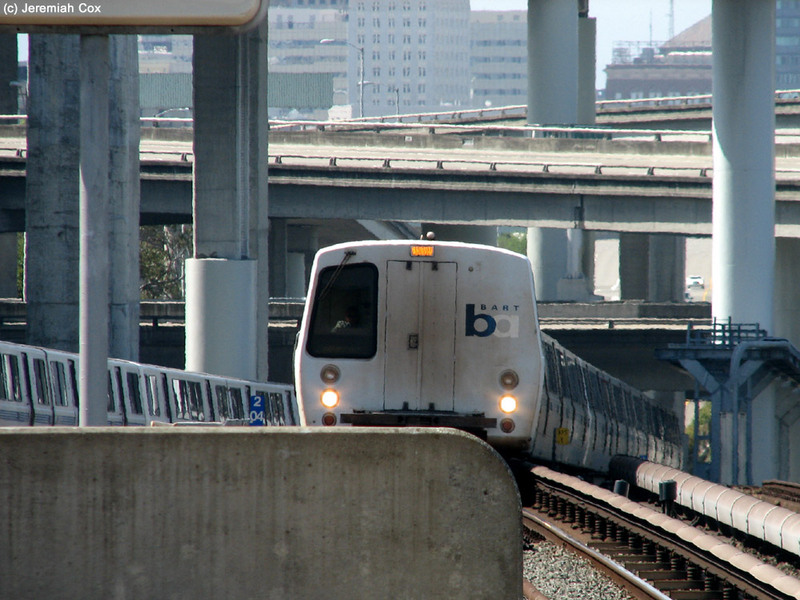 After the trains connect, normally SFO-bound trains leave first followed by Fremont-bound Trains directly behind them to go through the single southbound track tunnel through Oakland (this tunnel was designed to have four tracks but the second southbound one was scrapped due to funding problems). 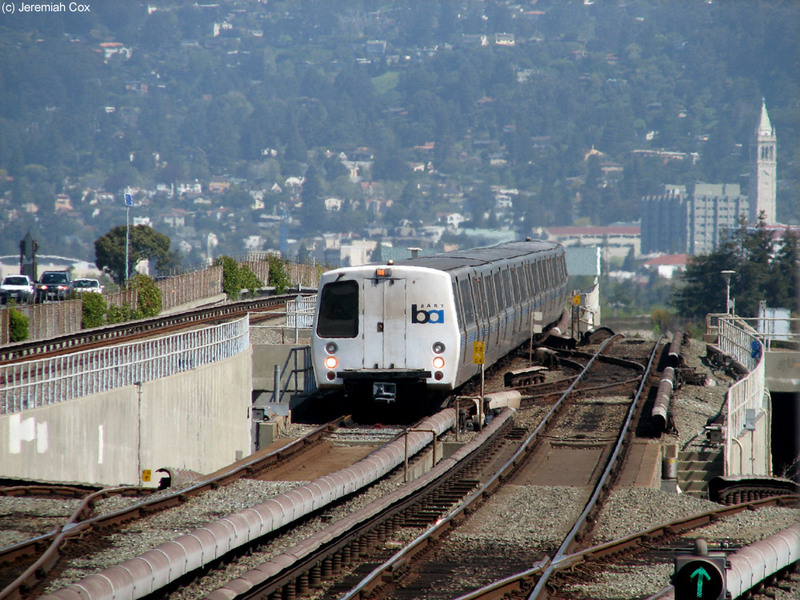 Northbound the lines have a scheduled transfer at 12th Street/Oakland City Center although northbound trains on these lines often stop at the same time because they have the benefit of not having to share a track through the Downtown Oakland Tunnels (since northbound trains have two tracks). 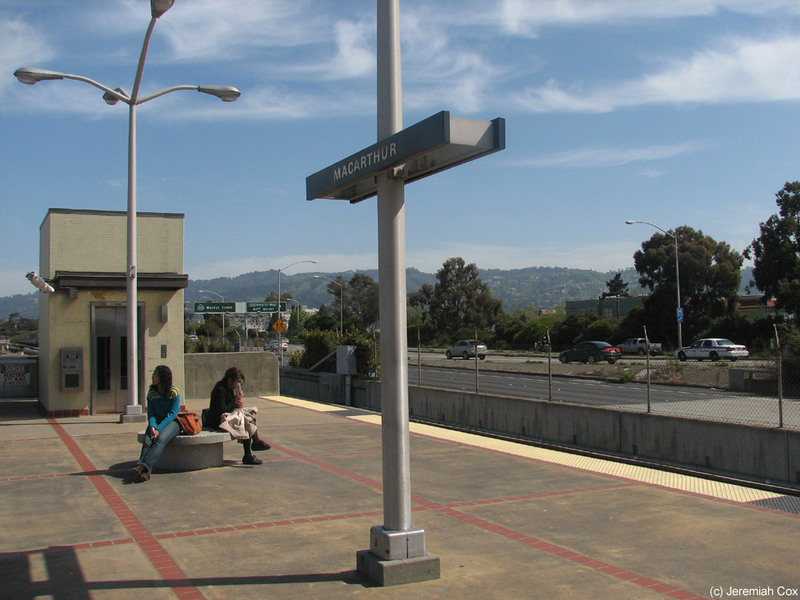 The station itself is located on an ariel guideway in the median of CA-24, The Grove Shaffer Freeway in Northern Oakland. 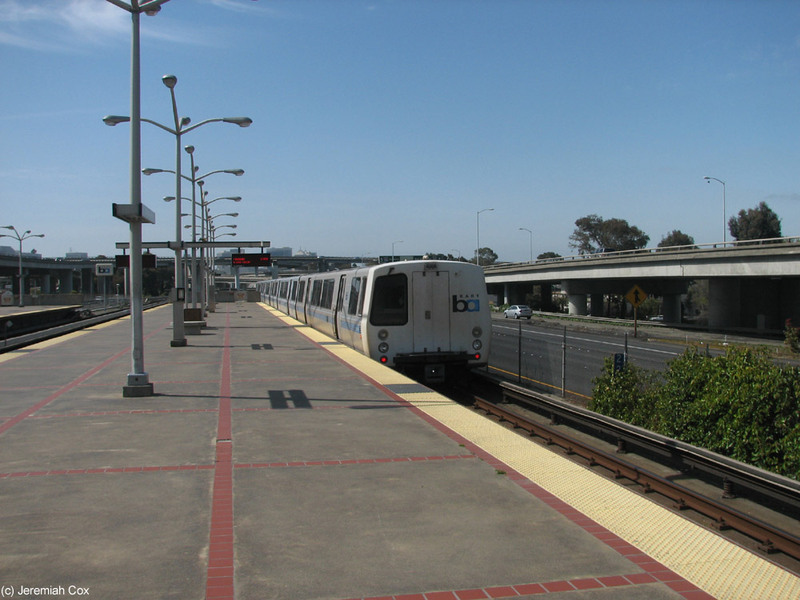 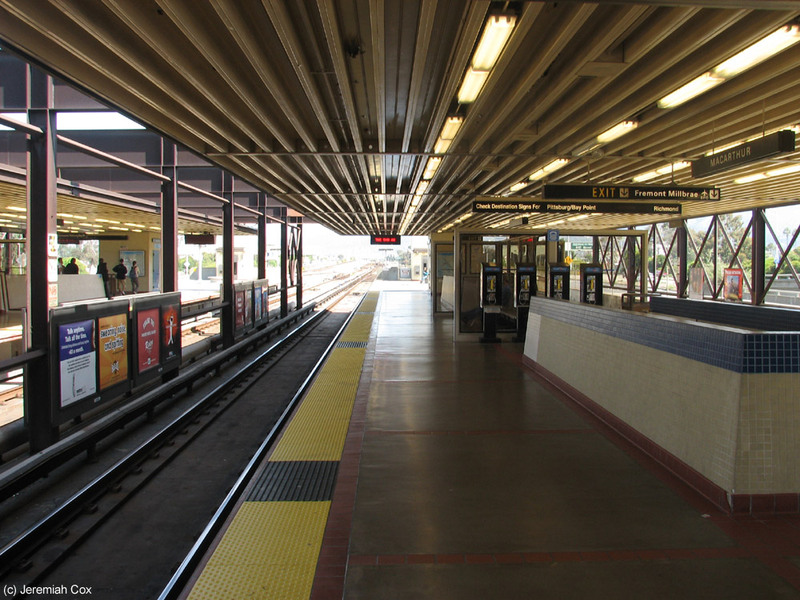 The stop opened on September 11, 1972 as the northern terminus of the original BART line that ran north from Fremont. 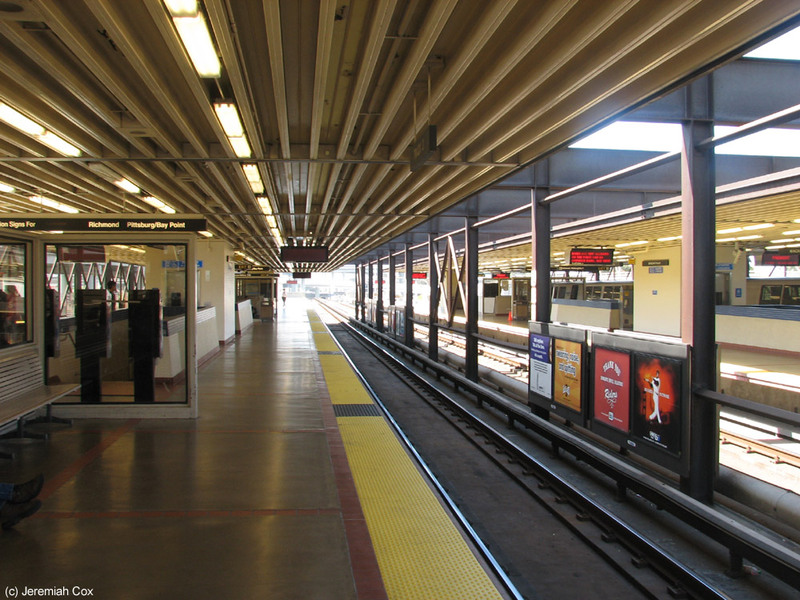 The four platforms are left exposed to the elements with simple red tiles embedded in their floors except towards there northern ends where a brown box structure canopy that extends over all four tracks covers about two train cars. 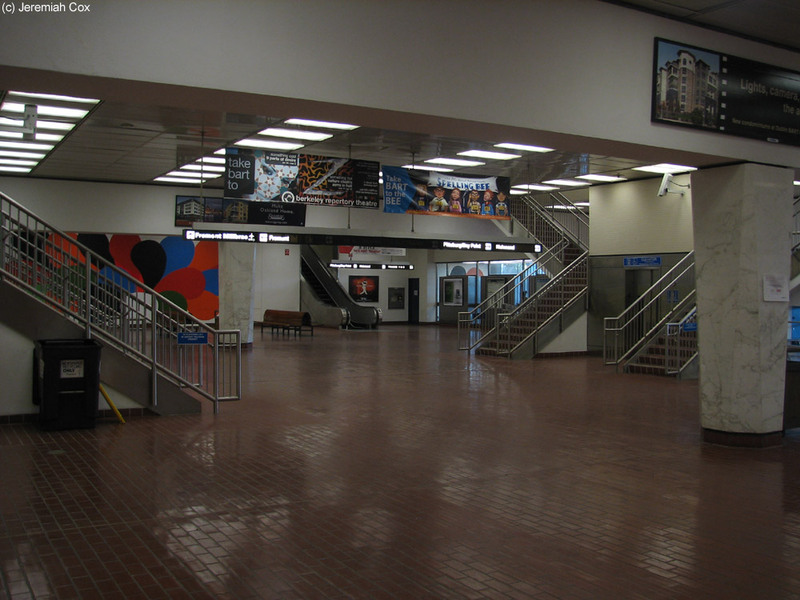 It is beneath this that staircases, escalators and elevators lead down to fare control located at street level, down beneath the platforms. 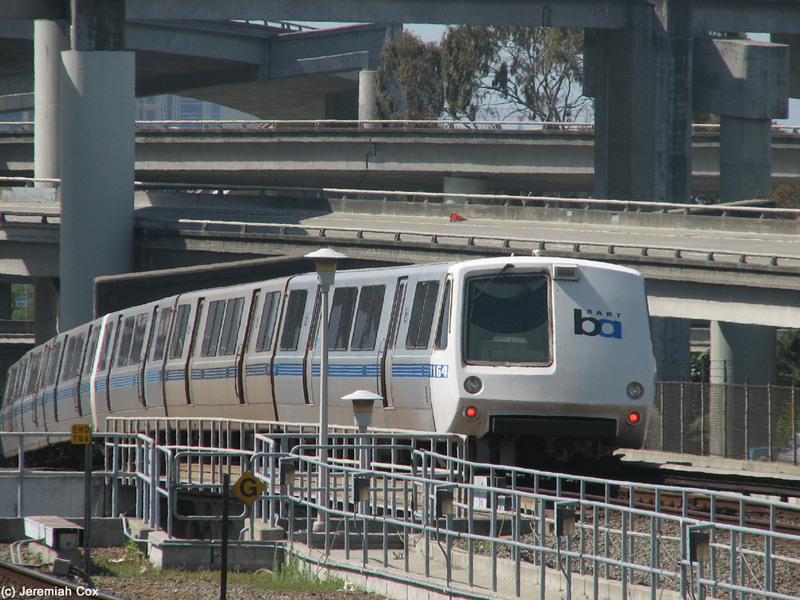 From here fare control is only out to the east side just south of the overpasses for the highway and BART over 40th Street. 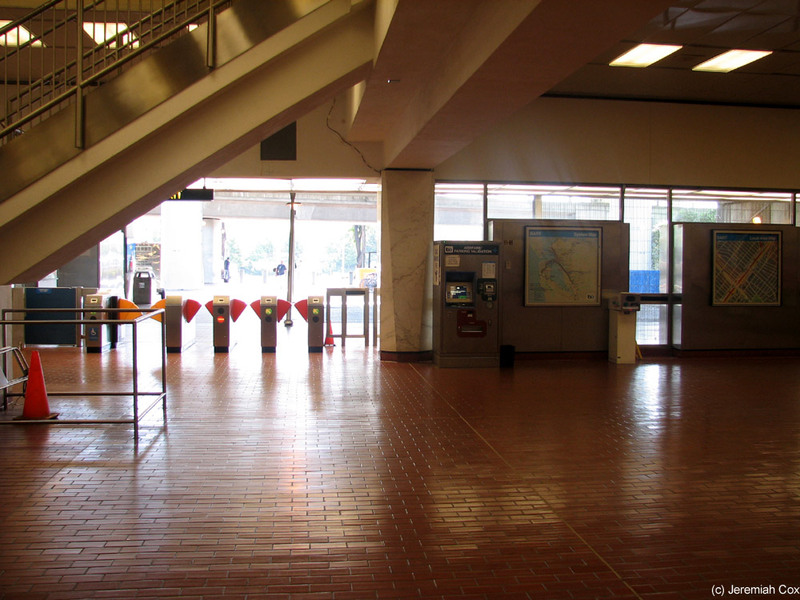 Here there is a large entrance plaza beneath the highway with a ton of bicycles parked on racks (there are also some bike boxes). 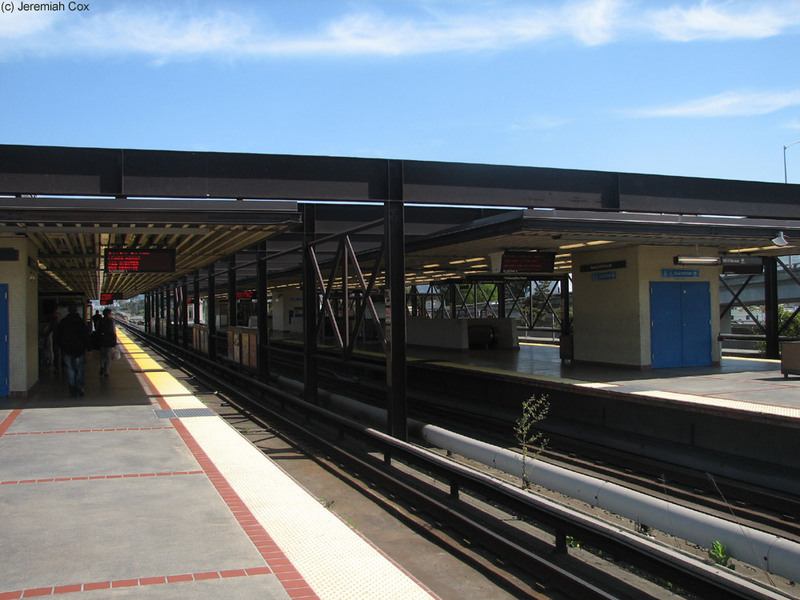 Getting out of the shadows of the highway the stations small bus loop is reached with some AC Transit Routes and two free shuttle systems including the Emeryville-Go-Round that takes passengers into Emeryville (including the Amtrak Station) that lacks its own BART station. 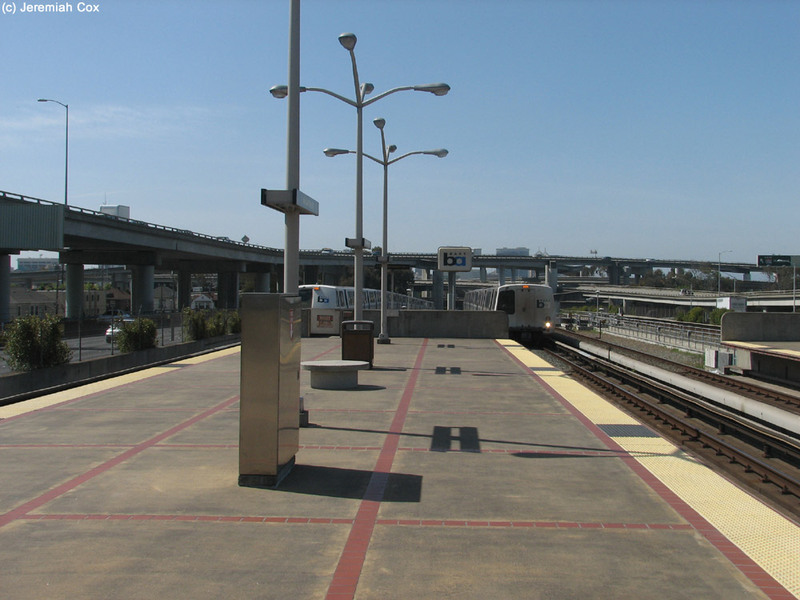 Beyond this is the station's 602 space parking lot that is currently partially closed for the construction of a new parking garage and the use of the rest of the current parking lot space for a transit village.